The purpose behind having a strong social presence is positioning your business in a way that it builds credibility among your customers. If you're credible for your customers, you won't need sales pitches to sell them something. Definitely, it will not happen in a single day. There is a flood of social networking sites that are helping different businesses to get their share out of social web. All these sites are not meant for your business. Identifying people who are talking about your business on different social channels, communicating with them to know their problems and sharing useful tips are some of the activities that lead you build a trustable and long-lasting relationship with your customers. The sites also provide the insight of your daily activities to let you know whether your strategy is producing results or not. On the basis of this analysis, you can improve your social media strategy. The goal is – making a trustable relationship with your customers available in a great number on different social networking sites. 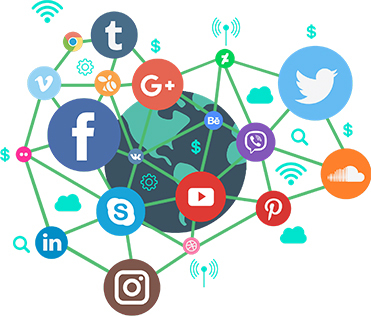 Kaya Systems will help you in knowing the activities of your competitors at social web and then in making a strategy that builds your credibility among your customers to let you get a better business share from these sites.